A family-focused care approach in palliative care recognizes the fundamental role of families in contributing to the care of people with life-limiting conditions. It is essential that healthcare providers develop understanding of families’ needs and the skills to collaborate effectively with families caring for people at the end of their lives. 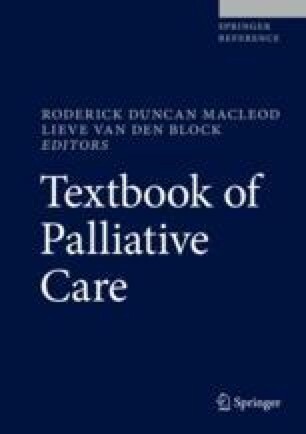 This chapter introduces the concept and components of family-focused palliative care. It continues with a discussion of what patients and families perceive to be the most important aspects of end-of-life care. This chapter provides information to assist healthcare providers who work with people with life-limiting conditions and their families in providing family-focused care and to identify gaps and challenges to providing such care. World Health Organisation. WHO definition of palliative care. 2018. Retrieved 6 Jan 2018, from http://www.who.int/cancer/palliative/definition/en/.